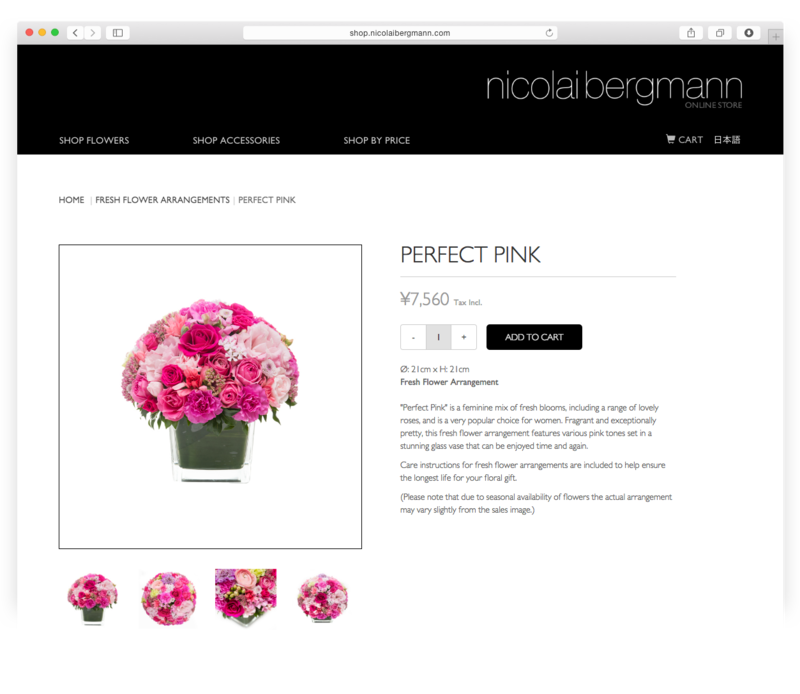 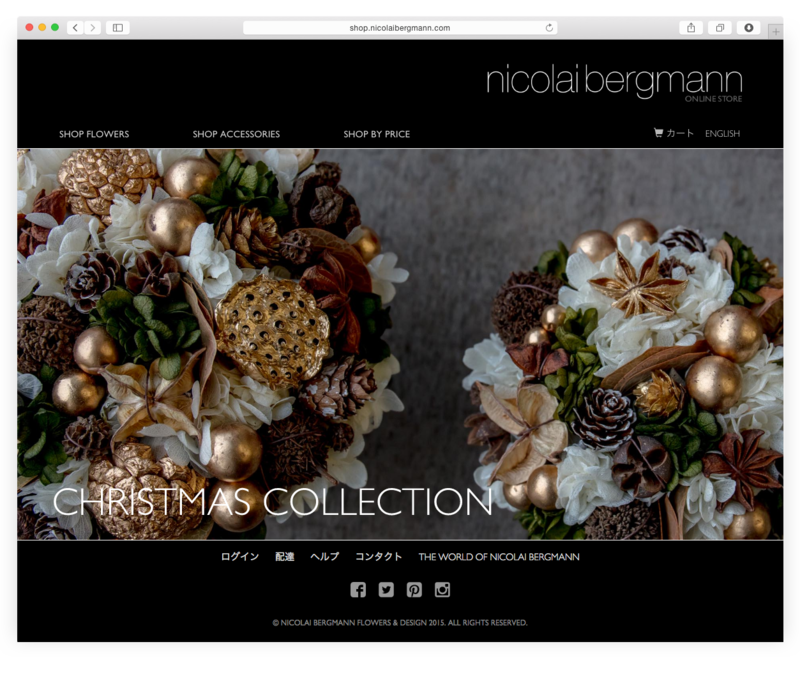 "Nicolai Bergmann Flowers & Design"
Nicolai Bergmann asked us to revamp their outdated e-commerce store and bring it into the modern, responsive web era. 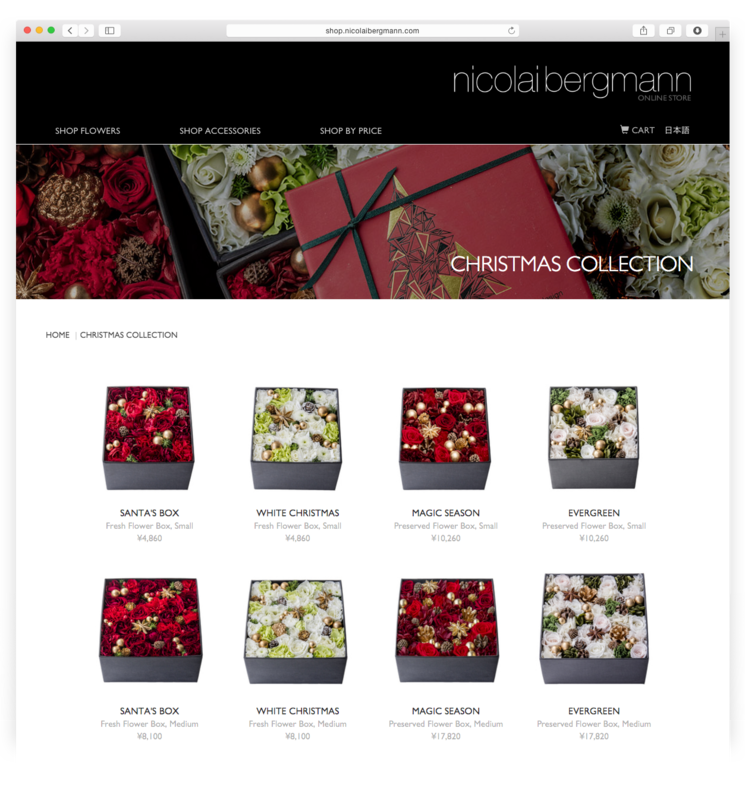 We worked closely with their branding team, including Nicolai himself, to create a design that does justice to their fantastic in-store and product experience. 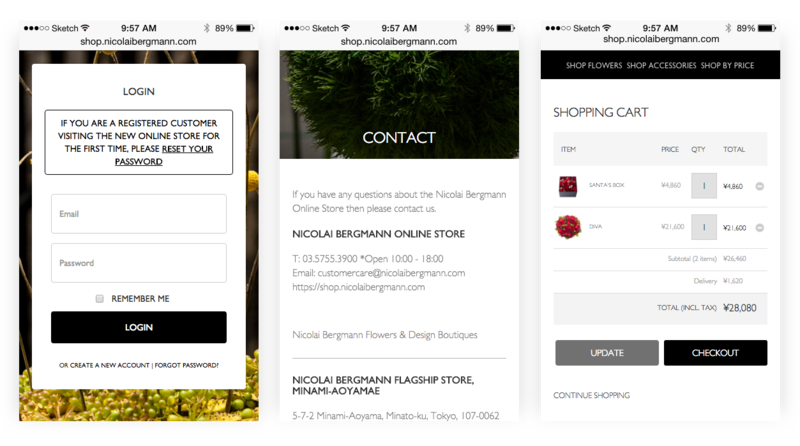 We also created an improved technology stack and backend interface, enabling their order processing team to save time and stress, while ensuring improved communication with their customers. 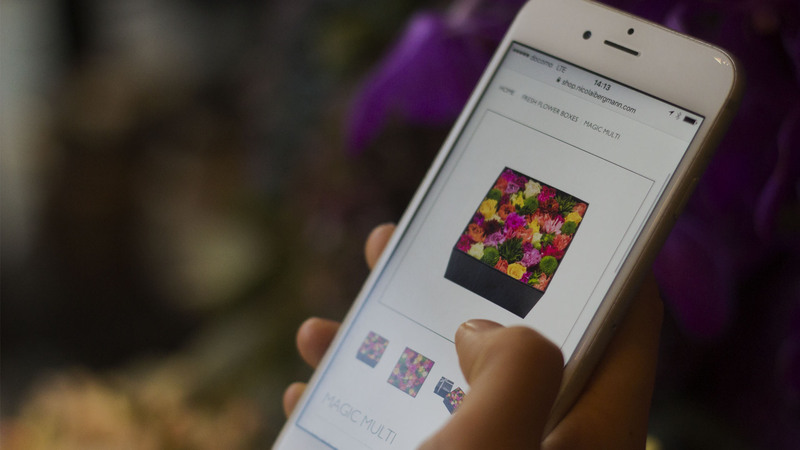 Other highlights include payment integration with Japan-based Komoju, which allowed for credit card processing from all major providers, as well as enabling convenience store payments, a popular method among Japanese consumers.